A second year student at Fujou High, and the president of the original Game Creation Club. 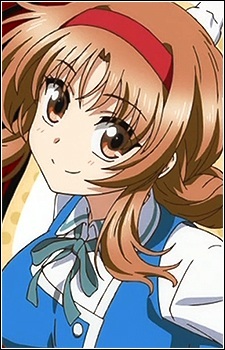 Roka was also a part of the same club until her strange personality put her at odds with the other members, which led Chitose to torment them in retaliation. After the other members quit due to Chitose's actions, Takao recruits Inada, Yamada, and Sakuragaoka, saving the club. She initially acts as though she resents Roka for what happened, though she was actually upset that Roka left her and formed a new club. She displays a strong passion for games on several occasions. Such as waiting in line for a new game release, and also purchasing a game over a swimsuit when Inada takes her shopping. After her attempts to get Game Creation Club (Temp) shut down, or absorbed into her own, fail, she begins regularly hanging around the club to the point that her own club members rarely see her. She has feelings for Kazama.